“Hey,” a tall blonde guy in our room greets me as I walk inside the mixed-dorm room. “Hi,” I reply, feeling a bit unsure if he’s addressing me even when I’m the only person who just entered the room. He walks past me, out the door with his companion, “See you later,” I hear him say. This same guy would always enter our room greeting everyone as a ritual. He and his friend checked in on our second day in the hostel. They didn’t bother putting their things inside the lockers under the double-deck beds; their backpacks, gadgets, clothing, a dingy mess on the floor. I gazed at their belongings, wondering if they didn’t have anything of real value that could explain their sloppy behavior. My OC tendency was triggered, but I just looked on and tried my damnedest to hide how much I cared. I told myself that it’s a price I have to pay for choosing to stay in a social accommodation called, Outpost Beach Hostel. 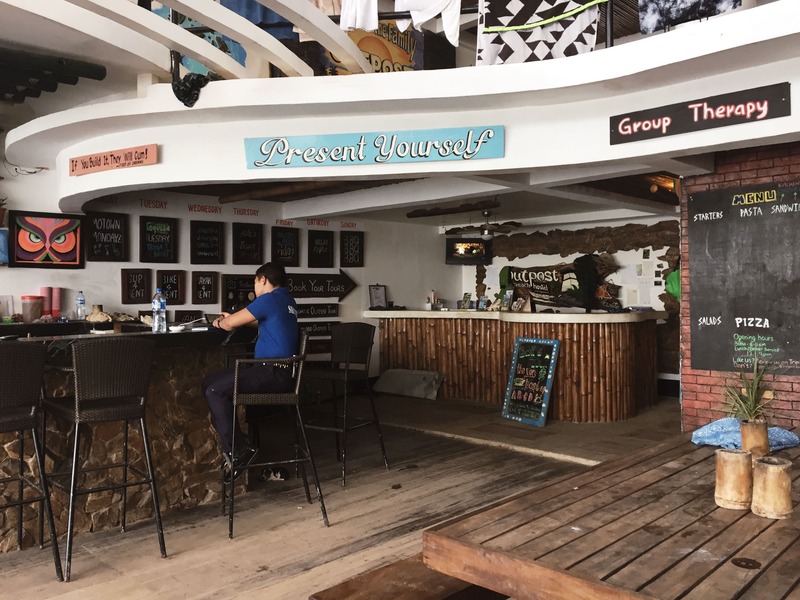 Just to clarify, I didn’t hate Outpost Beach Hostel, in fact, I could verify their claim for being one if not the best hostel in El Nido. It is so jampacked that my friend, Alchris and I arrived at 3:00 in the morning and we were not able to do an early check-in. All rooms were booked and during our stay, there was never an empty bed in our dorm room. As soon as somebody checks out, another guest checks in. To me, it only means that the place is very popular and well recommended by the people who’ve stayed there. Outpost Beach Hostel is owned by four foreigners. It has only been opened for 5 months but already, it is considered the top hostel choice among foreign backpackers. 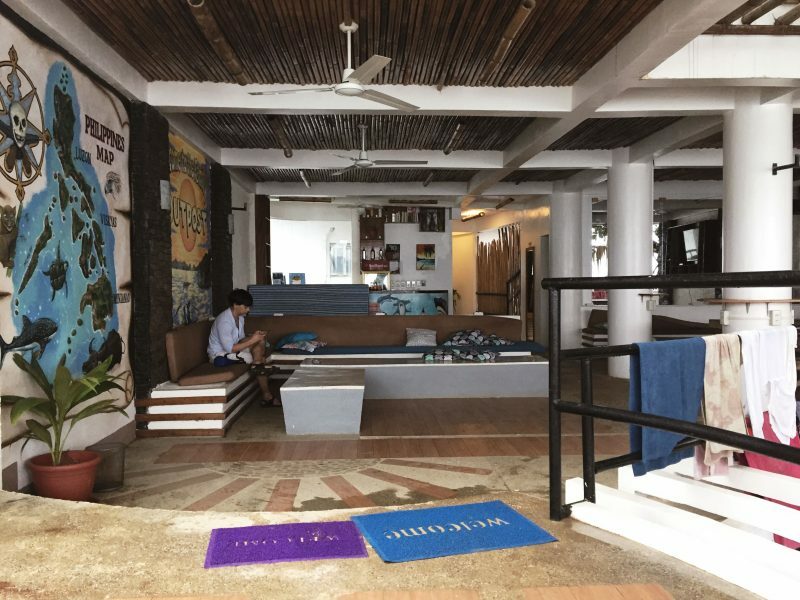 How did I discover Outpost Beach Hostel? How to get to Outpost Beach Hostel? What to expect with the crowd? 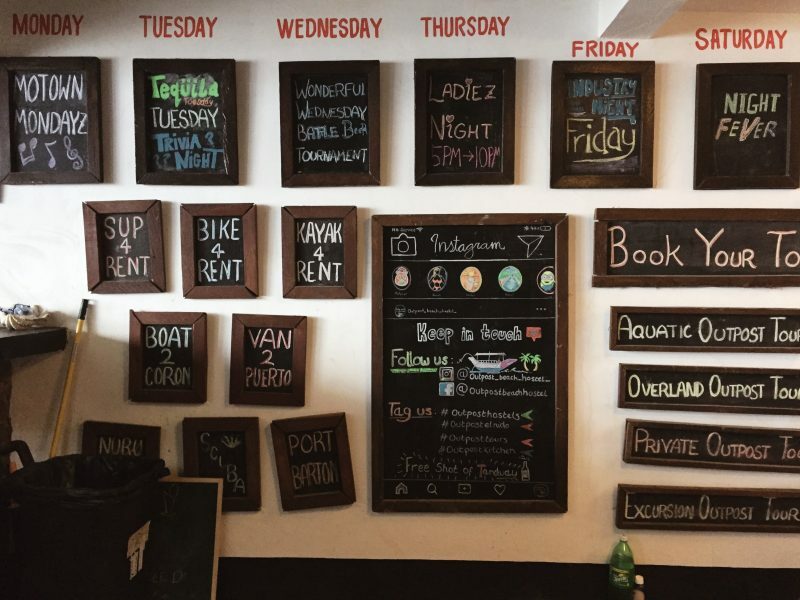 How to know if Outpost Beach Hostel is for you? Through an online search. I took it upon myself to arrange this trip for me and my friends, finding our accommodation being part of the task. I browsed through the listings in Hostelworld. I always have 3 considerations when booking for an accommodation: 1) It should be accessible (not too far from the commercial area), 2) it should be affordable, and 3) it should have good reviews. The only thing that OBH checked on this list is number 3. It has a high rank in Hostelworld and garnered rave reviews from its previous guests. If it only met one of my requirements then why did I choose it? Well, the reason is a bit complicated. Nah, it’s ridiculous. You see, being the only single in the group, my friends are always on my case about finding someone for me. Every time they learn that I have an upcoming trip, they would pull out a to-do list so I could get a boyfriend. One of the things that they like to advise me is to stay in hostels because it’s the easiest way to meet people. They tell me to stay in mixed dorms, not in an all-female room. So when I found out that OBH is a social hostel, I thought, this is it, maybe this would help me get my friends off my back and finally meet prince charming (or a frog). Going to El Nido, inform the driver that you are going to Outpost. You will be dropped off along Sitio Lugadia National Highway, there is a big sign of Outpost on the side of the road so it’s easy to spot. It is located in the sunset beach of Corong-Corong, about 5 minutes away by tricycle from El Nido town. You need to climb down the wooden stairs, walk along the seashore for about 2 minutes to reach the hostel. Don’t worry, it’s not hard to find. OBH has private rooms, the lowest rate is about PHP 2,400 (USD 47.48) per night. If you’re on a budget go for the dorm rooms but don’t expect an all-female or an all-male room; there is none. They only offer mixed dorms; 4-bed, 6-bed, 8-bed, and 12-bed. 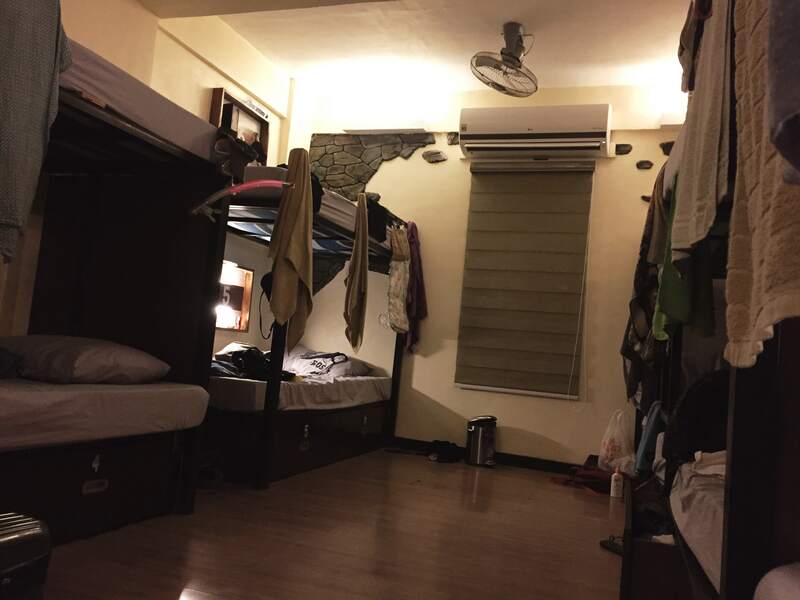 We stayed in a 12-bedroom as it is the cheapest option, PHP 650 (USD 12.86) per night. They provide a towel and blanket but you have to pay a deposit of PHP 1,000 (USD 19.78), which they will return to you during check-out. It has an in-house bar and restaurant downstairs where the guests like to hang out for a drink. As with the food, it’s a bit pricey and leaves much to be desired. There are nearby restaurants in the areas so I suggest that you just head outside for food. The shower areas and toilets are shared, but it’s fine because apparently, foreigners are not big on showering. Imagine, the hostel is filled with guests yet never did we find a hard time using the bathroom or the restrooms. These areas are also well maintained by the staff; they never run out of toilet tissue and liquid hand wash. Moreover, the showers have heaters and the toilets have bidets. The rooms are equipped with both air-condition units and ceiling fans. 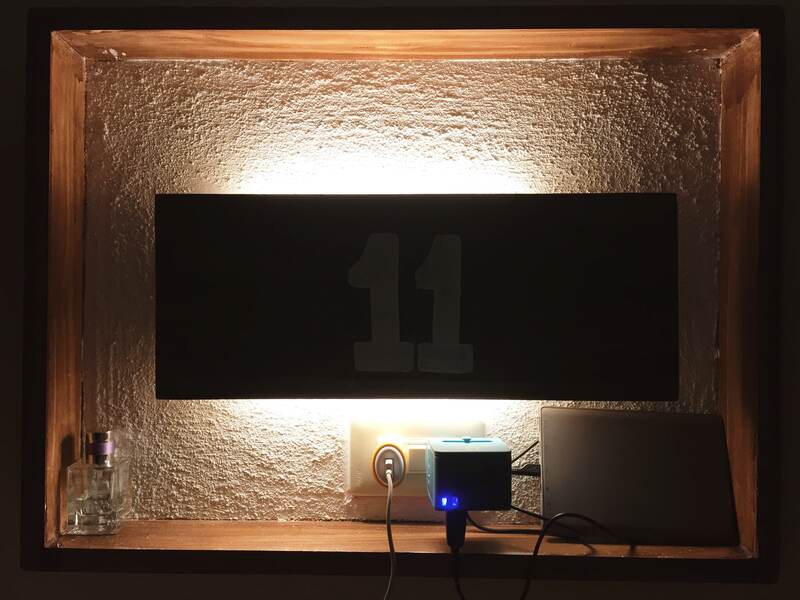 Each bed is equipped with its own bed light, electrical outlet, and locker. Ok, let’s talk about the locker; in the previous hostels that I’d been too, I’ve always had an issue with the lockers as they are always too small for my backpack. Whoever thought about building the lockers at Outpost ostensibly considered that backpackers usually carry huge backpacks. The lockers are so big and spacious you could fit an entire backpack in it. They don’t provide a padlock though so remember to carry one if you’re staying here. They sell padlocks, but PHP 150 (USD 2.97) for a padlock is a tad too much don’t you think? Oh yeah, if you’re booking a dorm room, bring earplugs and eye mask. I cannot emphasize enough how much you will be needing these as it could get noisy at night. I remember my friends complaining that our roommates were talking loudly one night that they had a hard time sleeping. Thanks to my earplugs, my sleep was not disturbed. 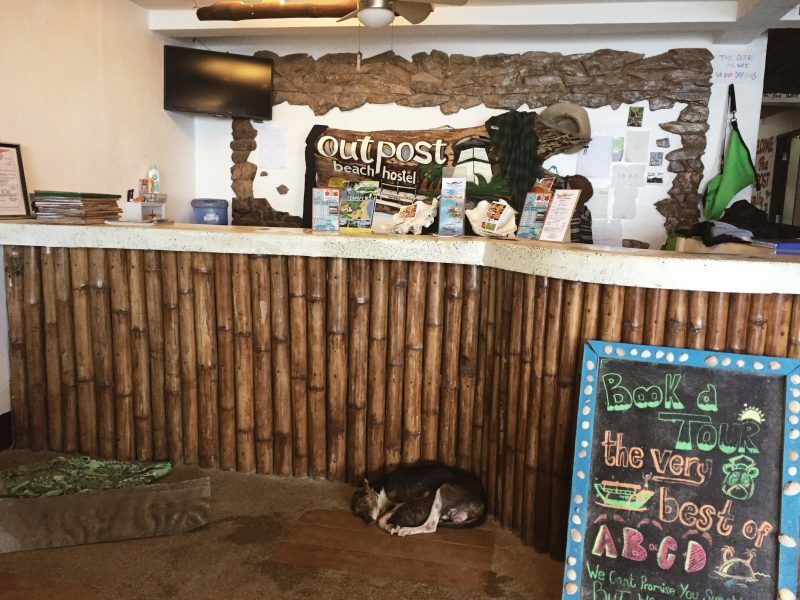 What’s the best thing about Outpost Beach Hostel? Definitely the view of the sea. This is a beachfront accommodation and waking up to an amazing view each morning and being able to watch the beautiful sunset in the late afternoon made our stay worth it. OBH holds a sunset shot daily, in which everyone is given a free shot of rum coke when the sun begins to set. Everyone is invited to gather in the common area (be sure to sit by the balcony for this), then one of the staff would lead the ceremony. It’s nothing big, he would just ask everyone to let out an awoo, the louder the better, and then people would raise and take a swig from the shot glass. It was rather brief, nevertheless, it was fun. What a clever way to have everyone get together for a single drink. The bar is open only until 10:30 PM. It closes early because the nearby hotels complained about the noise of the guests who were drinking so late in the night. As soon as the bar closes, the tourists would usually go out in groups to continue their drinking in the town. We extended our stay in the hostel for the Full Moon Party. Alchris decided to sleep it off while Lara, Lou, and I decided to join the fun. I have always wanted to attend a Full Moon Party so I didn’t let the opportunity past. It was held at the Las Cabañas beach in one of the bars there. There is no entrance fee, and OBH provided a van to transport their guests to the beach. Lou was having some love dilemma so she was gloomy the entire night. Only Lara was able to meet some people, being the only sociable person in the group. Me? The only part of the party that I loved is watching the fire dancing presentation; it was seriously mind-blowing. But if I have to be honest, I didn’t have fun. It wasn’t like the Summer Siren Festival, which to date is the only party or event I have ever enjoyed. In the Full Moon Party, I didn’t meet anyone or talk to anyone. I had a little drink but didn’t get drunk. I danced a little with my friends, but the space that we were standing in was so small it all felt so awkward. I do love my friends’ company, but my conclusion is if I want to party, they are the wrong people to be with. Alchris and Lou are reserved, Lara would go off on her own to talk with people. And I, well unless you get me drunk I would be that girl with a perpetual pissed off look on her face. So yeah, for the four of us, partying shouldn’t be in our agenda. OBH is not so popular with the Filipinos, but it is crazy famous with foreign backpackers. In fact, my friends and I were the only Filipino guests during our stay that we looked like we were the foreigners. Expect to meet people of different race who are somewhere between early and late 20s. Our trip was sponsored by Sea Land Venture so we didn’t avail of the package tours of OBH. I heard that their tours can get really rowdy and fun, which I do not doubt considering the fact that most of OBH’s guests are young people who are out looking to have a great time. Easy; if you are young, wild, and know how to have a good time, OBH is for you. The hostel has a good vibe, the staff are nice and friendly, the guests are eager to socialize. When you go here don’t be like me. Don’t sit on the sidelines, don’t be lost on your mobile phone, don’t overthink. Wear a smile and talk to people. This is a social hostel after all. 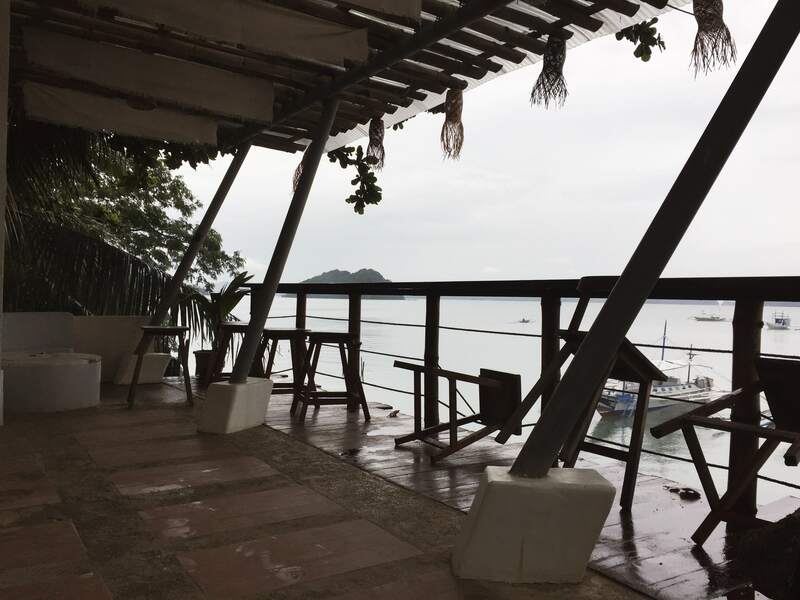 To my friends, sorry to disappoint, my social hostel experience in El Nido was a failure. I will discourage anybody to go to this hostel: they just put pipes going directly from the toilets and kitchen to the sea… disgusting! Would you recommend the tours with Sea Land Venture? Were they super crowded? 🙂 I’m heading to the Philippines in late June and I’m really excited. We haven’t settled on a place to stay yet- still contemplating the hostel! Thanks for sharing your experience. great review! 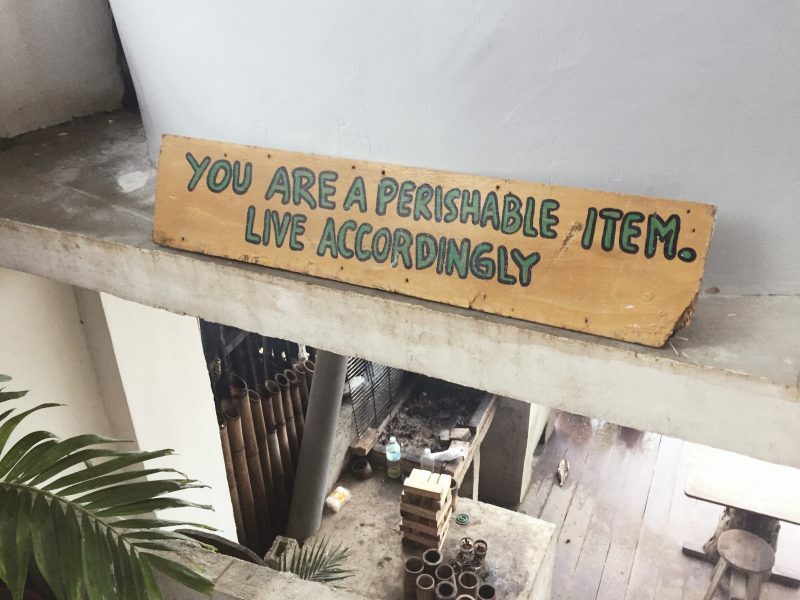 this makes me want to consider trying a hostel. but do they also have a good internet connection that can handle my laptop for working-from-home/hotel? This place El-Nido looks fun to stay in. I love hostel life and cities with backpacking culture. Is there a full moon party happening every month here? The party is being held every full moon. I really hope to cross El Nido off my bucket list soon, Marjorie! Your post is truly motivational. I always choose to stay in a hostel and this one seems awesome. 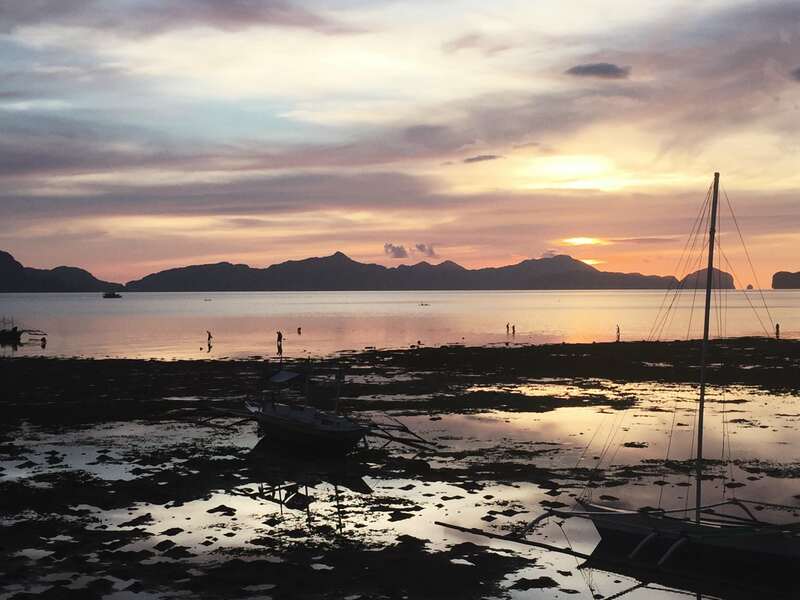 What time of the year would you suggest going to El Nido? Hi Agness, most foreign visitors go to El Nido in the summer, that’s from March to May. I personally, don’t advise going in these months because there are more tourists and the prices are high. The best time for me is the later part of June or early part of July. Ey! This sounds so cool. Too cool, in fact. I have never been to the beautiful beaches of Palawan which we plan to remedy soon. and never tried hostels too. More of Airbnb people 🙂 How often do they have the full moon party? Your fire dance photo is amazing. 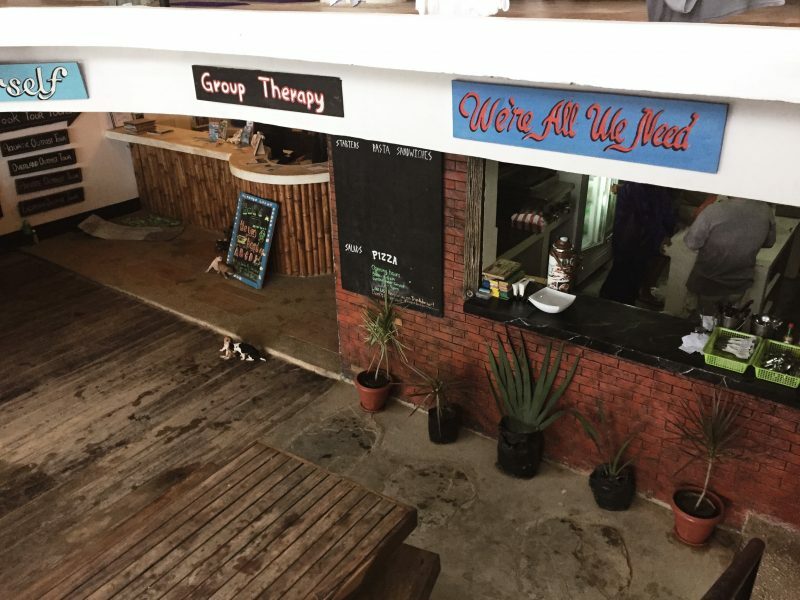 This seems like such a fun kind of hostel and tbh it doesn’t look like a hostel to me it looks like some sort of resort.I am glad you guys didn’t have an issue with the washroom because we have always faced issues with bathroom sharing in hostels as most girls spend too much time there lol. I’m surprised too, I mean the hostel is packed to the brim but we never had to wait in line. I’m not sure if the foreigners are just not fond of taking showers haha.. The Outpost Beach hostel seems to be a really vivacious and active kind of a place with lots of energy. Definitely not the kind if you are looking for some peace and solitude. But definitely the place to head to if you are looking for some fun and camaraderie. The beach party too sounds like fun, the fire dance picture had me enthralled. Oh yeah, the energy is pulsing in that place. It’s definitely advisable for people who like to socialize. Marge, I always love reading your post because they have a personal touch. I love the way you interleave stories as you write. I wish you had found your prince charming at the OBH so that you wouldn’t have to try out mixed dorms again 🙂 Frankly, I wouldn’t choose to stay in a hostel ( especially mixed once) because I m not very comfortable staying with strangers. Btw, I really love the picture of the fire dance. 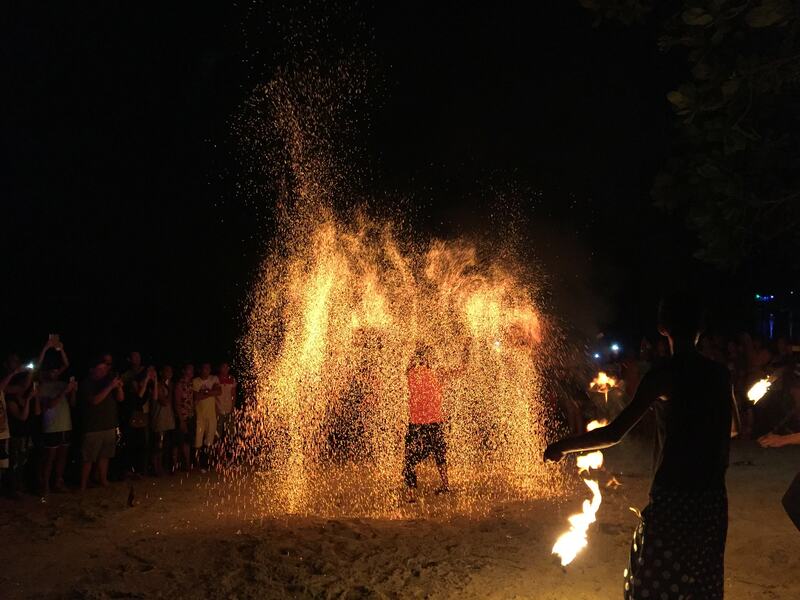 It’s a pity you didn’t like the full moon party. Thank you so much Sindhumurthy. That’s so nice of you to say. 🙂 Yeah, I am bad at attending parties actually, oftentimes I feel so out of place. I know right! I just had to take a photo of that sign. This seems like such an amazing experience. I have yet to stay in a hostel as I rarely travel alone and I have safety concerns. but the view here is certainly gorgeous! Hi Jerny, yeah we had a grand time during the tours. Thanks for hooking us up with Sea Land! Thanks for an utterly honest review of OBH. I loved the tips for travelers at the end especially the “Dont be like me” part. Actually, just like you, even I take a bit of time to open up and socialize so maybe hostels aren’t the place for me. But I’ll try OBH for once! I’m beginning to think that hostels are not for me since I am so bad at socializing, but then the price cannot be beat so yeah, I’m not giving them up anytime soon. A very well written detailed review. I liked their rooms and those views can make my whole day. Having good Lockers is really essential for staying in a hostel and if they have big lockers to fit the whole of the backpack, that is awesome. Oh yeah, that has got to be the best locker I have ever seen in a hostel. All hostels should really consider installing big lockers especially if most of their guests are backpackers. Wow I love hostels. I didnt know that there’s a good one in El Nido. When I was there, I thought your only option is the crazy expensive hotels. 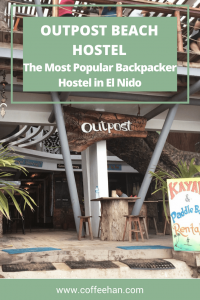 I thought the same years ago but now, the hostels are coming in and I’m glad that they do because the hotels in El Nido can get really expensive. It’s nice to have a cheaper option. The vibe is somehow similar to Flotsam and Jetsam in La Union. I agree about bringing your own ear plugs or sleeping mask, it really helps me stay asleep each time I stay in a dorm room filled with different travelers. The party looks simple but I do want to witness their fire dance performance. I will consider this hostel if I will visit El Nido in the future. Yes, it’s a little bit like Flotsam and Jetsam. The fire dance show is awesome, you should see it! I love rooms with great views and you seem to be lucky to stay in one such room. With gorgeous sunrise and sunset views the day is made! I fully understand the locker problem with back packs. Looks like an ideal place to make new friends. Actually no, we don’t have a room view, but the hostel itself has that view if you go to their balcony. Hostels are not for everyone but I think it’s worth trying at least once. Wow, this is so timely since I’ll be in El Nido on September. I always find Hostel as the best place to stay, aside from its innate cheaper price, you’ll get to meet a lot of backpacker travelers as well. I like how detailed this post is and very well elucidated. Very well written review indeed. Thank you so much for sharing this with us. If you like socializing then this hostel is for you Lai. Hope you have a fab time in El Nido. I have never stayed in a hostel before but should I consider it you tips are most valuable. When our children are a little bigger I really want them to experience this type of travel so they can meet other families. This hostel certainly has thought of a lot of features needed for back packers and what stunning view! I haven’t seen a family friendly hostel but I’m sure there is one out there.